There was some very tight competition on all fronts this year. EPs were no exception. After much debate, here are the top 5 EPs of 2011. This was a tough decision, but Corelia deserves 2011’s EP of the year. This band is composed of true musicians all the way through, and they all deliver in a huge way on this debut release. 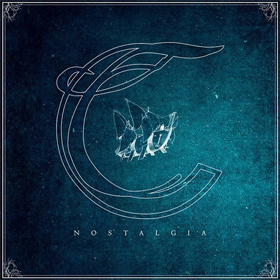 “Nostalgia” is an EP that will leave listeners exactly like that with it’s infectious, well-composed glory which will leave you wanting to listen again and again. This is a damn near perfect Progressive Metal release touching on various musical and conceptual themes. “The Sound of Glaciers Moving”, “Treetops”, “Mute Swan” and “Blood Petals” are all great reasons why “Nostalgia” is a masterpiece that deserves nothing less than your full attention. 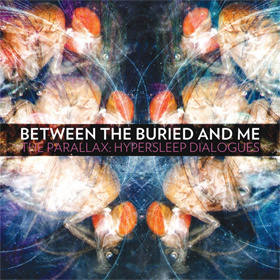 Between The Buried And Me’s “The Parallax: Hypersleep Dialogues” was a ground breaking release in many ways. This isn’t so much an EP as an adventure through hyperspace. This is a band that always seems to expand and improve with every release. And with each new addition to their discography they also become more ambitious. The original “Parallax” is no exception. They brought out the first part of their epic space concept in the biggest way possible. Composed of three massive tracks ranging from approx 8-11 minutes each, there was no shortage of quality content here. Take a trip with part I then move onto “The Parallax II”. 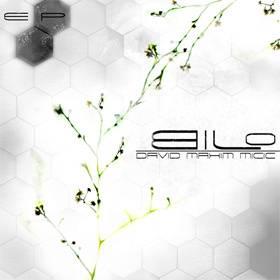 Give a good listen to David Maxim Micic’s original “Bilo” and you should be able to tell the man is a musical genius. Also trained through the prestigious Berklee College of Music, he has the know how behind his craft. Bringing a virtuosic level of talent and serious creative drive together, David is becoming a very real force in the modern Progressive Metal scene. “Bilo” was only the beginning, but it was an especially impressive one. Split into four parts titled “Bilo I-IV”, this debut EP covered vast amounts of musical ground with serious groove and guitar work. It’s fully recommend you partake of David Maxim Micic’s aural delights. In many ways you could look at this release as the expansion pack to the Periphery debut. 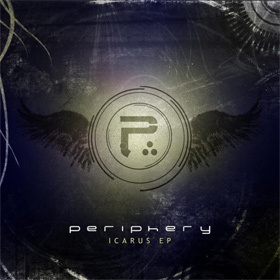 The “Icarus EP” offered up a randomly assorted collection of goods which included 2 new songs, 2 previously un-released ones, 2 slightly re-worked tracks from “Periphery”, and 3 electronic remixes of “Icarus Lives!” Altogether, it made for one helluva EP package with a good bit of content. Of all the above, 5 tracks made this EP especially great. The dirty, groovy intro “New Groove”, the technical chaos of “Frak The Gods” and release of “Eureka”, the official release of “Captain On”, and the cleaner tweak of “Jetpacks Was Yes!”. The debut EP from Substructure put the Missouri band on the metal map in a huge way. While many bands fail on the brutal front, Substructure just gets it with their juggernaut “intergalactic space djams”. With a few similarities to The Contortionist, “Monolith” mercilessly crushed skulls with it’s heavy onslaught only to seamlessly transition into tasty melodic segments. 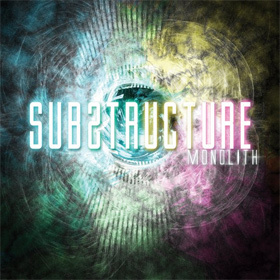 Substructure is an insanely creative, hyper-talented musical unit and it really shows on this release. Massive tracks like “Canis Minor”, “Canis Major”, “Telescopium” and “Cephus” are great examples. Expect excellence from this band on their upcoming full-length.